Oooh. 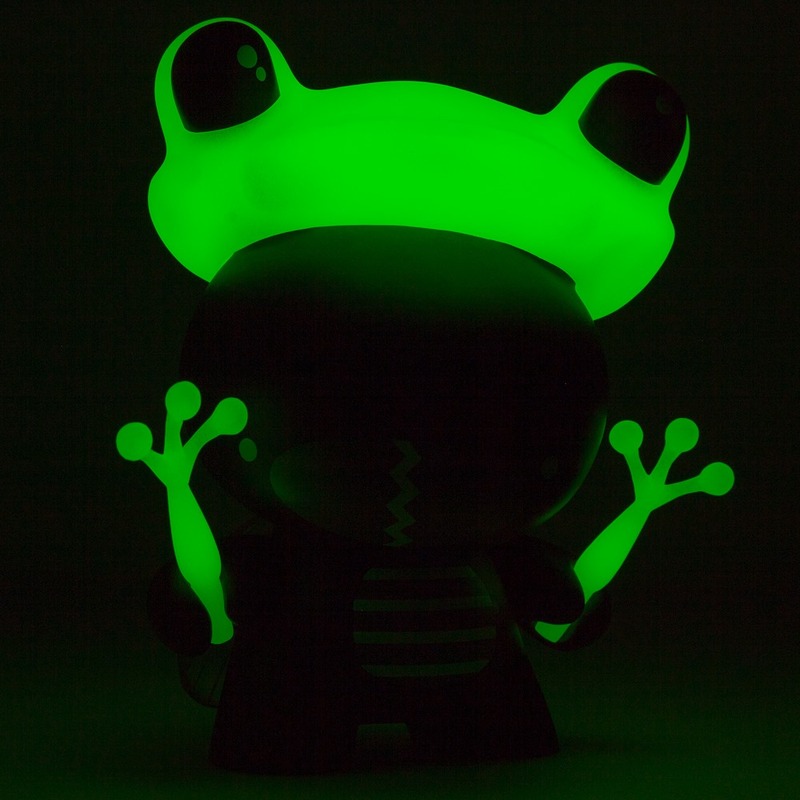 In addition to the standard edition of the upcoming Incognito 5” Dunny—an opportunity awarded as part of Twelvedot’s win as the Designer Toy Awards 2015 breakthrough artist—there’s also a DTA exclusive Black GID edition. Limited to 150 pieces, this special edition adds glow to the fun bug disguised as a frog design with a GID frog head and GID frog leg accessories. Even better, all sales proceeds of the Black Icognito will be donated to the Designer Toy Awards. It’ll be available at NYCC via the Clutter booth (#603) for $34.95.